The California State Archives has finally put its early California Trade Mark files on line for everyone to use. This significant collection of trade marks is truly amazing, and if you have an interest in the history of California bottled products you may just completely miss dinner once you begin browsing the collection. There are a few errors but they are insignificant relative to the importance of this site to bottle collectors and historians of California commercial history. 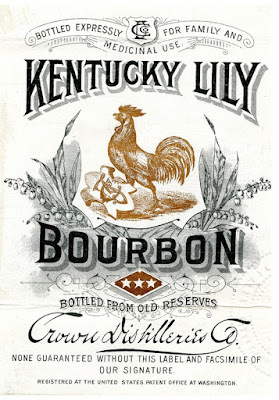 You will find thousands of bottle related labels from 1861 to the turn of the century, and some will knock your socks off. I implore all bottle collectors to visit this site and invite them to dig a little deeper with what they find, with their results being published articles and vignettes of their research. Such productivity will only contribute to the perpetuation of the hobby which we currently enjoy. Mine would finally be the solving of the mystery of the T M bottle. I have used the State Archives trademark collection for many years and the discoveries for me are too numerous to mention. One of the most interesting that comes to mind at the moment is the Circassian Tonic. 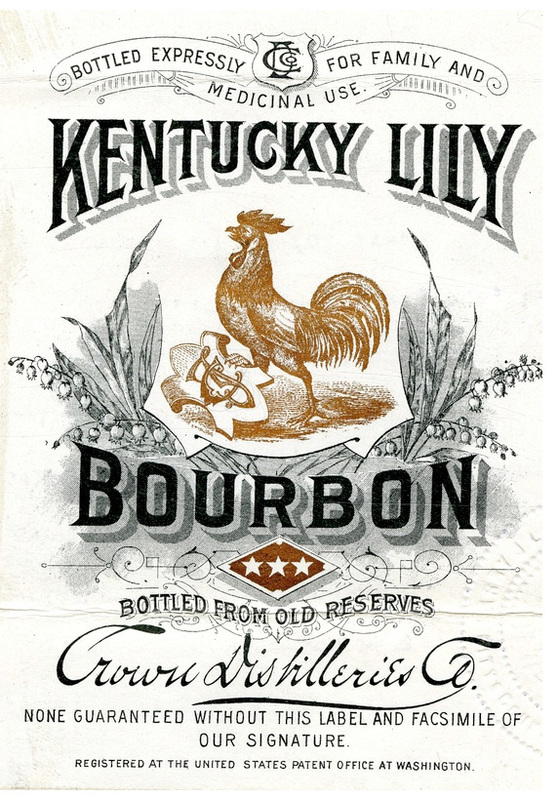 It is one of the very few trademark registrations that included an actual rubbing of the embossing on the bottle. Back in the early seventies no pieces of the bottle had yet been found. So, I knew this really neat bottle had to exist but it took many years before I found a broken example. Still waiting to see an intact specimen, and it is bound to happen one day. I used to travel from the Bay Area to the archives in Sacramento with Bill Wilson who was searching out information for his medicine bottle book. We would both descend on the trademark files and work all day until we were stare crazy. On the way home we were so excited from our new discoveries that the chatter never stopped. It was a crazy time. Now it is on line for all to enjoy and I am still finding bits of new information, but without driving a hundred miles. I have looked at every trade mark including a "star", and other than the Star of the Union Bitters, none of the other star trade marks match for product type or age. it's certainly not baking powder or an 1890s bottle. it is definitely circa 1868-72 in age ( the TM Star square). DM. If you are referring to trademark No. 1663, there is presently a little confusion as to how the amber Mexican Tonic bottle relates to this registration. There are two completely different Mexican Tonic bottles, of which the amber version is one. It is without question that No. 1663 fits with the clear whiskey shaped fifth that is embossed with the words MEXICAN TONIC - JOSE GARCIA MEXICO , and the Mexican eagle as represented on the label associated with trademark No. 1663. It is not clear if the amber bottle, like the one you have, is related to the same company or if it belongs to the Mexican Tonic Co. that was incorporated in New Jersey. Hopefully, a labeled version of the amber bottle will turn up and help clear up this question. Yes, Von Thofens is an eastern brand and a number of different things were happening that could confuse nearly anybody's logic. Prior to 1870 there was no federal trade mark coverage and California was a strong market for certain eastern products, especially booze. Since some states, including California, had their own trade mark law in place, eastern companies had to resort to registering their products in each state that they wanted to gain protection from individuals who might steal their product name. Thus we had eastern products being trademarked in California. This practice slowed down after the federal trade mark law was enacted but some companies continued to "double cover" just to make sure there was no legal issue when they had to go to court to stop copy cats. This is the simple explanation of a really complicated issue. Whenever lawyers are involved it can get much more twisted - and it often did. Now THAT's why I love this blog! I am sure everybody but me knew that information but I certainly did not! Figured something like that though as Hostetter's Bitters and several eastern brands are in the database. I really appreciate the clarification Eric. Dale M.